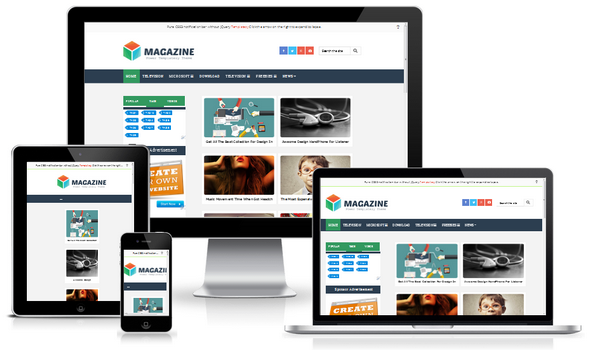 Magazine Blogger Template is the next advance version of Organic Blogger Template which include more advance features. Magazine Blogger Template is the next advance version of Organic Blogger Template. This template has fully responsive layout and came in two different layout interfaces. 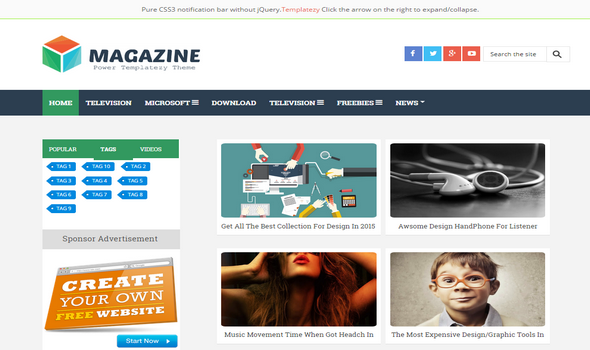 This template is premium magazine and technology based blogger template which can be used for multiple niches site. This theme is super SEO friendly and included more advance features than all our previous released templates. In short, If you are curiously looking for best free Multipurpose blogger template, then Magazine is a perfect choice for your next site. 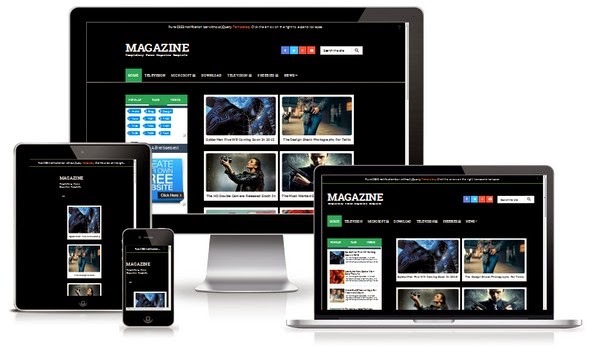 100% Responsive Mobile Layout: Magazine Theme is fully responsive like our previous Hippo Mag Blogger TemplateThis theme would give perfect resolution from desktop, Ipad, Iphone, Tablet, and Mobile devices. you can check it vial online responsive tools for testing responsiveness. Magazine Blogger Layout: Magazine Theme available in two different style like our previous released Modern Portfolio Template. This template include some extra unique features in a separate layout. Both layouts design are look liked similar excepts few changes. SEO Friendly: Search Engine Optimization is our first goal. Thats why our team always care about what the Search-Bot love. We customize the template according to SEO structure. Like, Meta Description, Showing H1, H2 heading style properly on different locations. In, short you do not need to hire a blogger or webmaster for any kind of SEO work. Sticky Bar: Since, non of our previous templates include a sticky-bar. However, in the recent template we have integrated a cute CSS3 Sticky-bar for headline news etc. The Sticky-bar is solely created in HTML and Css3, so you do not need to worry about loading time. Load Faster: Magazine is more faster in loading time compared to DesignFlex and Authorism Theme. You can check it via google speed tool. The very first blogger template loaded in less than a second. Pure-CSS Style: Magazine is coded very neatly as compared to its previous version Organic Template. We have all possible included a human readable Css Styles and Scripts with Comments description. Ads Ready: One of the finest widget you would love to have in this template is Ads Ready Slots. We have already installed an automatic Ads Slots that work on drag and Drop. So all you need to do is to add your BuySellAds or Google Adsense codes into widgets. Video Widget: Do you want to display a video trailer or news clip below your post section. We already setup a responsive video widget. All you need to do is to add your vimeo or youtube embed video code into that widget. 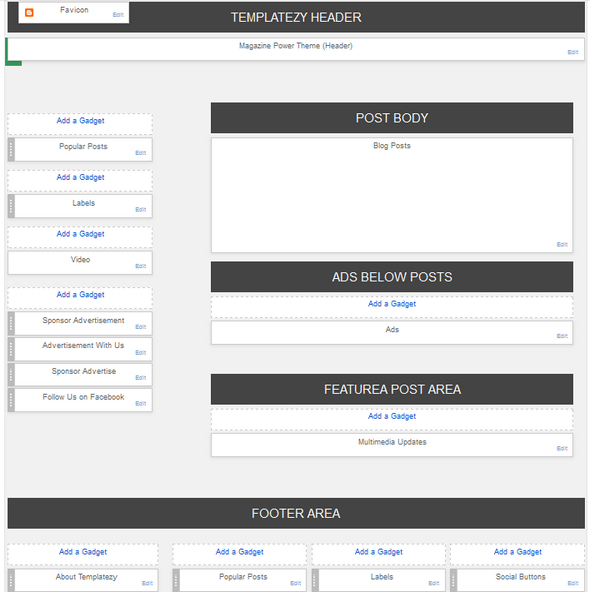 Related Post Widget: With Magazine Template, you will get responsive related post widget like IcomMag Template. This widget would help to display random posts from the label category below every post. The only thing you must to know, that every post should be assign at least one label, otherwise the related posts widget will not show any of your post. We are really Hoping you have found Magazine Blogger Template more valuable for your next creative site. We have built this awesome blogger template with great effort, done all possible customization both for robots and User Interface which make it perfect for a brand site. However, by any chance if we miss something in a template, kindly let us know through comment. Your query will be appreciated.